Struggling to find a unique gift for someone special, don’t have the time to scour the shops, or maybe you need to send a gift abroad? Ginny & Joy curated gift boxes have been created with this in mind. Our unique gifting service allows you to give something truly fabulous you cannot wait to give. All our products have been carefully handpicked from a range of small independent businesses, meaning the goodies in our boxes aren’t what you’ll see on the high street, making them all the more special for the recipient. We have a growing range of pre-curated gift boxes filled with lovely quality products (from £25) in a range of themes, or we offer a complete bespoke gifting service where we can work with the sender to create the ultimate personalised gift box – perfect for big birthdays, retirements, weddings or corporate gifting. All our boxes have a choice of personalised message cards meaning they can be and sent directly to the recipient for super easy gifting (much more original than a bunch of flowers), or you can receive the box yourself and hand write the card for gifting in person. Delivery is FREE across the UK. Our signature ‘Ginny and Joy’ box donates £4 from every purchase to the Target Ovarian Cancer charity. Kemps General Store is an emporium of the beautiful & the unusual for everyone, nestled in the North Yorkshire market town of Malton. At Kemps you will find the things you most certainly want and may even need, such as an interesting book, lovely art, crafting items for adults and children, gifts, great cards, quirky things or beautiful and useful kitchenware. Kemps also offers a good range of books and items for children of all ages in a buggy friendly environment. Special late night opening as available on request providing an opportunity for a small group to browse and shop at their leisure, enjoy a class of fizz and a couple of hours social time. Craft sessions are also available running on a weekday evening for a couple of hours – time to relax and learn something new and suitable for beginners in crafting. We are a company specialising in creating keepsake items including 3D casts, raised impressions and jewellery. We offer a bespoke service completely unique to each individual client captured in a lasting material. Make an Impression creates ceramic clay hand and feet impressions, raised plaster hand and feet impressions, 3D castings and silver fingerprint jewellery. Keepsake gifts for Father’s Day, Mother’s Day, Christenings, Weddings or for a special gift. 8×6 frame with 6×4 image of your choice. 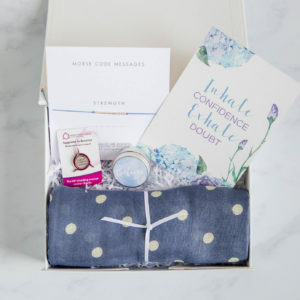 Someone close to you is expecting but you are tired of giving traditional/usual/boring presents or gift cards… Are you looking for something special and personal but also useful? Ideal for Mum-to-be, Newborn baby, Baby shower, Christening, Naming ceremony, 1st Birthday.